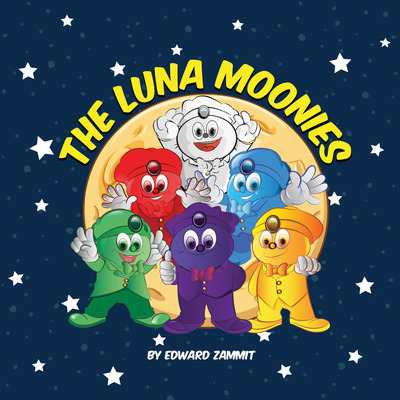 The creator of the Play-Doh launch game and spiro-light – Edward Zammit, has moved away from toy inventing to literature with the release of his first book The Luna Moonies. This sweet tale follows six colourful space characters who live on the moon. You've probably guessed who.. the Luna Moonies. The Luna Moonies appear to live a peaceful life. They spend their days harvesting a mystical dust that falls from the stars. Their lives seems to exist due to the dust. All is well in their moon-world until the evil Moon Shadow tries to poison the Moon's surface. Will the Luna Moonies defeat the Moon Shadow and stop the poison before it destroys all of themystical dust their lives depend on? The Luna Moonies introduces young readers to "goodies" and the "bad guy" in a sweet colourful tale that will please all little space fans.